To the skeptics this post might come as a surprise, here’s a black dog voicing his support for the adoption of the black cat. For reasons I can’t fathom, why would anyone regard a beauty as elegant as a black cat for bad luck. Black cats are statistically less likely to be adopted than their differently colored cousins. Superstitions have concocted them into a picture of black magic, witches and all that’s weird under the God’s green earth. As Groucho Marx aptly said, “A black cat crossing your path signifies that the animal is going somewhere”. From being a deity in Egypt’s golden age to Edgar Allan Poe’s cerebral protagonist, Black cats have ruled like only they can. 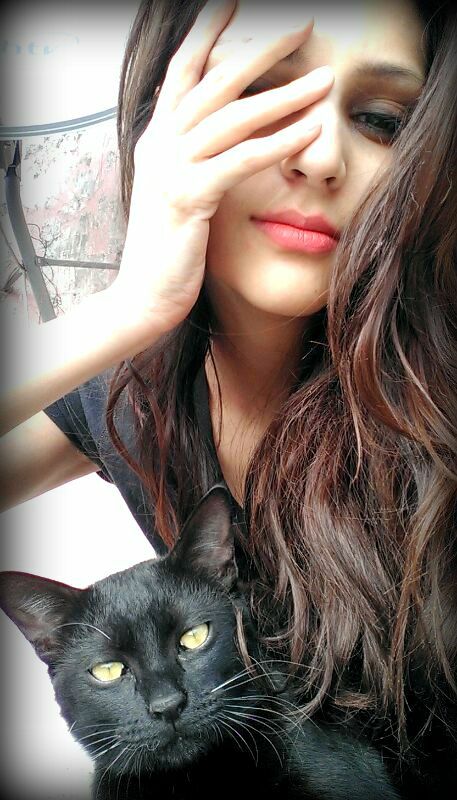 Riya with her adopted black cat. I may give them a friendly chase every now and then, but I dote on cats. It’s another misplaced notion that a dog has to hate cats. Anyways I would quip on it sometime later. For those still at odds to adopt a black cat (or dog) here are 20 reasons why you should adopt black cat. 1. Black cats take the longest to get adopted and need your help the most! 2. Black cats are elegance personified. Having them is like having your own style guru at home. 3. You’ll never lose a black cat in a snowstorm. 4. Black fur won’t show up on that chic black gown of yours. 5. Everything goes well with black. 6. Black cats are always appropriately dressed at cocktail parties. 7. Holding a black cat is very slimming. Go ahead, try it! 8. Black cats have a ‘black belt’ in cuddling! 10. A black cat will match any décor! 11. When you love a black cat, luck is on your side. 12. According to Scottish lore, a black cat on your porch brings prosperity to the owner. 13. Love is colour blind. 14. Black cats never look dirty. Their bright eyes and sparkling white teeth add to the aura. 15. Black cats make you look beyond the surface to find true love and beauty. 16. In England, giving a bride a black cat is believed to bring her good luck. 17. According to a Scottish lore, a black cat’s appearance at your home leads to great wealth. 18. In Britain, on the Yorkshire coast, wives of fishermen believe that their menfolk will return safely if a black cat is kept in the house. 19. In the south of France, black cats are referred to as “matagots” or “magician cats.” According to local superstition, they bring good luck to owners who feed them well and treat them with the respect they deserve. 20. Adopting a black cat may be lucky for you… and it is definitely lucky for them! Believe the purrs and the paws. Adopt a Black cat! loved reading it. v creative post. loved no.2 and 3! A black cat looks cute with a red ribbon. All cats are adorable, let’s not be racist! Also, from certain angles and certain distances, you can convince yourself and others that your black cat is a lynx. Very impressive. Simply because it is a cat. Loved the reasons listed here for adopting a black cat! 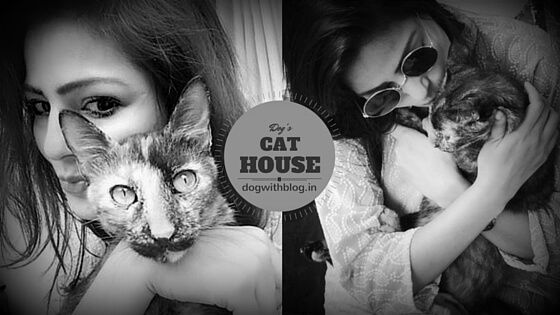 I had many black cats at home…Koyla, Zorro, Nerp. ET, Kari, Ammaakkaari…the list goes on! Previous Previous post: What the hills long to say?